As of the 1980 census, almost fifty percent of Americans labeled German as their primary ancestry. Throughout history, German immigrants have contributed to and been supported by the American dream. Weaving their own culture and ideals into the fabric of American life, German immigrants contributed to the defense of liberty, an entrepreneurial spirit, honor and patriotic zeal as well as a positive image of America. 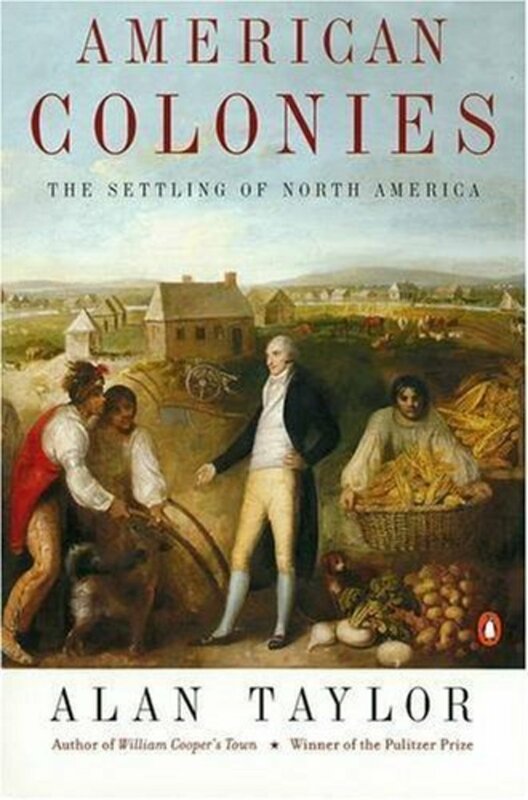 Even as colonists, German immigrants contributed to the American way of life and improved conditions of today’s United States. The earliest German settler, Dr. Johannes Fleischer, arrived with the Jamestown settlers. Soon thereafter others Germans began to settle and contribute to the colony. The first successful and permanent German colony was Germantown, Pennsylvania, settled in 1683. This settlement’s success, combined with economic and social issues back home, helped contribute to the first significant waves of German immigration in the 17th and 18th centuries. Arriving in 1710, one very important German American was John Peter Zenger. Only thirteen at the time of his arrival to America, he was signed into indentured servitude to a New York printer. 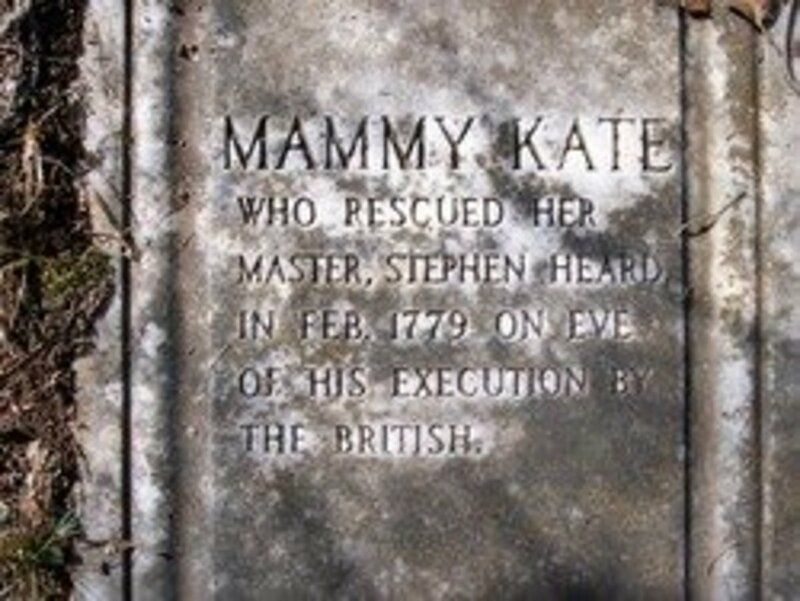 He finished his indenture in 1718 and by 1722 married his second wife, Anna Maulist. They both went into the printing business and struggled financially until approached by a journalist wishing to publish political stories. That meeting resulted in the publication of the New York Weekly Journal. 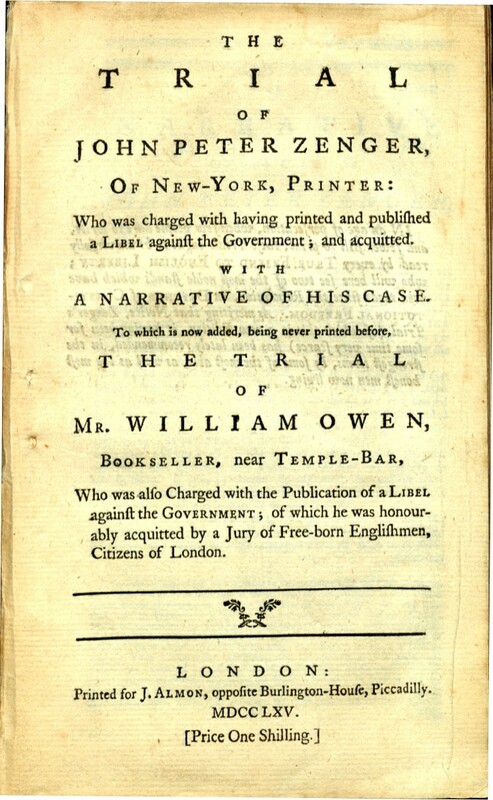 The journal published a series of articles which pointed out the corrupt actions of the royal governor, William S. Cosby. 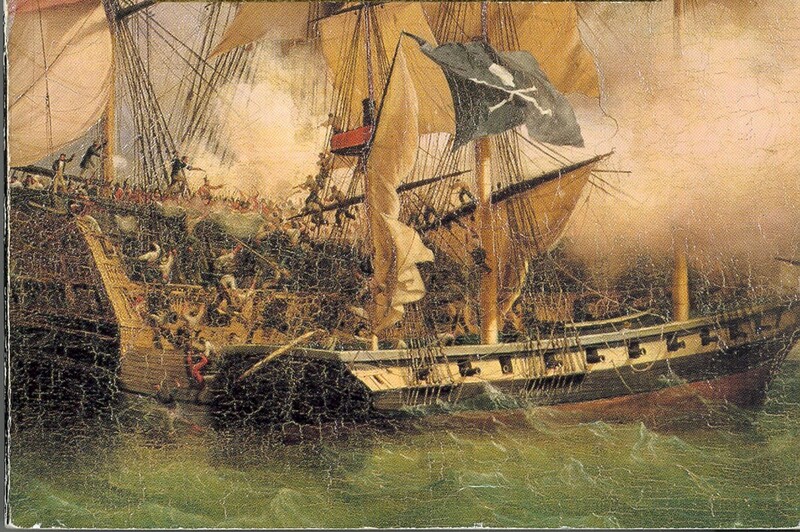 The publication made accusations such as rigging elections and allowing French vessels and agents into New York. Relentlessly the articles lampooned Cosby and pushed the idea that the governor was a corrupt simpleton. Although Zenger never actually wrote the articles, he was arrested nonetheless on libel charges and spent eight months in jail. The authors wrote the articles anonymously, and Zenger refused to name them. In his absence, his wife Anna continued to publish the journal. Her reporting on the fact that Zenger’s jury was completely made up of Cosby’s lackeys put pressure on the judge, who called for a second jury. Zenger’s attorney, Andrew Hamilton of Philadelphia.was known as one of the most famous lawyers in the colonies. The defense never wavered in the facts. They never denied that Zenger did indeed print the journal and the subsequent articles. However, Hamilton required the prosecution to prove the accusations false. In doing so, Hamilton argued that this was not an issue of libel, but rather an issue of liberty. The jury returned a verdict of not guilty. Due to Zenger’s desire to tell the truth, his printing of the journal and his unwavering refusal to name his anonymous sources, combined with Hamilton’s excellent defense, the argument is made today that the entire affair led to the passage of this famous quote; "Congress shall make no law respecting an establishment of religion, or prohibiting the free exercise thereof; or abridging the freedom of speech, or of the press; or the right of the people peaceably to assemble, and to petition the Government for a redress of grievances." Another important German immigrant who believed in liberty actually fought for it during the American Revolutionary War. As second-in-command during the war, Baron von Steuben helped instill discipline and structure into the American ranks, which contributed directly to the British defeat and eventual American independence. Born in Magdeburg in 1730, Friedrich Wilhelm August Heinrich Ferdinand von Steuben was a Prussian-educated military who volunteered for service without rank or pay in the Continental Army. He quickly impressed General Washington who asked him to act as Inspector General of the Army. He took over training duties during the winter lull at Valley Forge, and trained the soldiers in drills, marching and tactics, as well as adding much needed discipline. On September 26, 1777, von Steuben arrived in the United States and immediately departed to Valley Forge. Appalled at what he saw, he quickly whipped the Americans into shape. Using a mixture of German and French, von Steuben demanded precise formations and military order. He cleaned up Valley Forge, establishing sanitation standards and systematically rearranging the camp. Von Steuben illustrated plans to separate the officers from the enlisted men and made the obvious observation that kitchens and latrines were to be located on opposite sides of the camp. Von Steuben's most important contribution, however, lay in training. He drilled a model unit of approximately 100 troops, who in turn trained other units, who subsequently also trained other commands, so that eventually the entire Continental Army was properly trained. 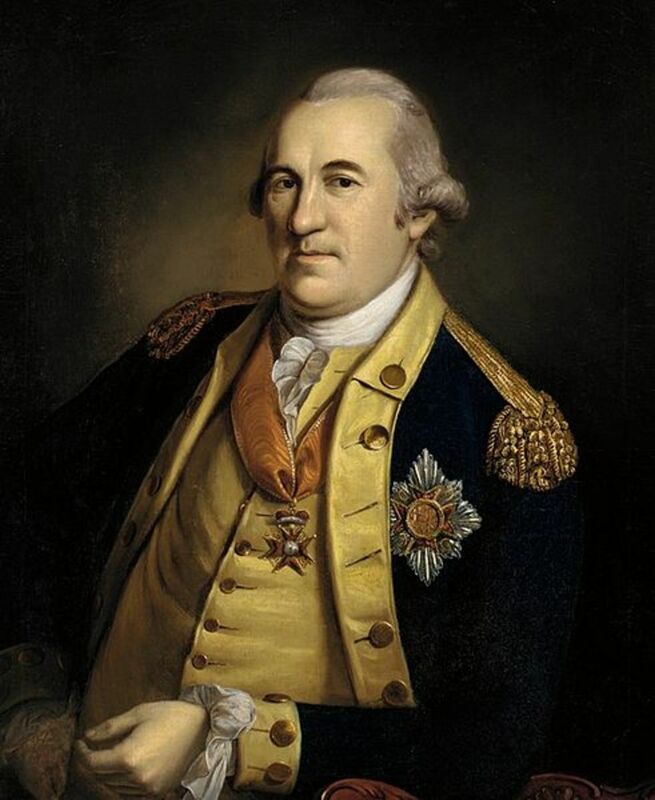 Eventually von Steuben led troops against the British General Cornwallis. Replaced by Marquis de Lafayette, von Steuben joined forces with the French general and supported the attack on Cornwallis. Although he became ill and left the Army for the summer of 1781, von Steuben was able to rejoin the fight at Yorktown, where he commanded a division of Washington's army. At the end of the war, he was Washington’s Chief of Staff and assisted in the demobilizing of the Continental Army. Von Steuben contributed much to the American cause, instilling a sense of order, professionalism and sanity to the American Army in her time of need. He was honorably discharged on March 24, 1783. By a special act of the Pennsylvania legislature, von Steuben became a naturalized American citizen in 1784. He never married nor had any children. He is buried near Utica, New York at what is now the Steuben Memorial State Historic Site. Without von Steuben’s assistance, the Continental Army would have had a much more difficult time defeating the British Army. By the beginning of the next century, events in Germany led to the immigration of thousands of Germans to the United States. Many of those Germans immigrated to Texas. By 1850, more than 20,000 Germans lived in Texas, mostly in the Hill Country area of central Texas. The most important German was John Meusebach, who help found the city of Fredericksburg. Born in Dillenburg, Germany in 1812, Baron Otfried Hans Freiherr von Meusebach became interesting in immigrating to the United States in 1844. His interests in geology and horticulture combined with his prolific reading about Texas led him in his desire to explore the Hill Country area. He soon acquired rights of settlement under the Republic of Texas’ Fisher-Miller Land Grant. Before settlement of the area could occur, Meusebach insisted on meeting with the local Indians and settling a peace treaty. Meusebach and other German settlers met with ten Comanche chiefs. The Germans promised the Indians $3,000 worth of goods in return for the Indians' pledge not to harass the colonists. On May 9, 1847, the Comanche chiefs came to Fredericksburg and signed the Meusebach-Comanche Treaty. This treaty became one of the most important documents of German-Texan history. The treaty never took away any land or rights of the Native Americans and stated that the Indians and the settlers were to live in harmony and peace. Fredericksburg still celebrates this treaty with an annual festival. The treaty is unique in American history as one of the only treaties ratified with native Americans that was never broken. Today in Fredericksburg one can see decorated on the Maibaum (maypole) Indians and German settlers working together to colonize the town. The Indians helped by teaching the Germans the ways of the land, while the settlers helped the Indians by supplying goods and materials with the assistance of nearby Fort Martin Scott. The peace was never broken. For the most part, during the mid 1800s, Hill Country German immigrants in Texas were pro-Union, eventually only to be massacred while attempting to escape to Mexico. Throughout the rest of the United States most immigrants were also pro-Union. Recently moved to the United States and taken an oath of allegiance, few Germans were willing to immediately swear their allegiance to the Confederate States. Thousands of German Americans volunteered for military service. In fact, Germans were the largest immigrant group to participate in the war. Pennsylvania had five all-German regiments in the war, and other states fielded other all-German regiments. Contributing to the Union victory was Major General Franz Sigel, who was the highest-ranking German officer. Personally appointed by President Lincoln, his assignment was political as much as militarily, as recently arrived immigrants represented a large abolitionist voting block. Some Germans did fight for the Confederacy, including Johann August Heinrich Heros von Borcke who became J.E.B. Stuart’s Chief of Staff and Adjutant. More than two hundred thousand German immigrants, many of them veterans of the 1848 revolution greatly contributed to the Union victory. After the Civil War, German immigration to the United States continued unabated. Germans were now arriving at unprecedented numbers and were making their mark economically as well as culturally. One such pioneer set up a mercantile shop in San Francisco to make money from the California Gold Rush. This crafty immigrant knew he would not make money from actual mining, but rather by providing goods for the miners. He sold many different provisions from his store, but his main product was denim which he sold wholesale to many San Francisco tailors. In turn, these tailors made clothes for the miners, who often needed new clothes after just a few days hard work in the mines. One important customer told his German supplier how the miners constantly complained about the rips and holes in their pants that often occurred deep below ground. In the 19th century, many mine shafts were small and cramped; in the tight confines of the mines, sharp outcropping of rock snagged trouser pockets and snared them, leaving the miners with torn, ragged pants. Combining efforts, the store owner and tailor fixed the ripping problem by fashioning metal rivets at important stress points; i.e., pocket corners and at the base of the all-button fly. As a result, the button fly jeans known throughout the world today were invented. The German immigrant’s name was Levi Strauss. Other German immigrant entrepreneurs left their marks on American industry. All of the big three American breweries (Budweiser, Miller and Coors) were all founded by German immigrants. 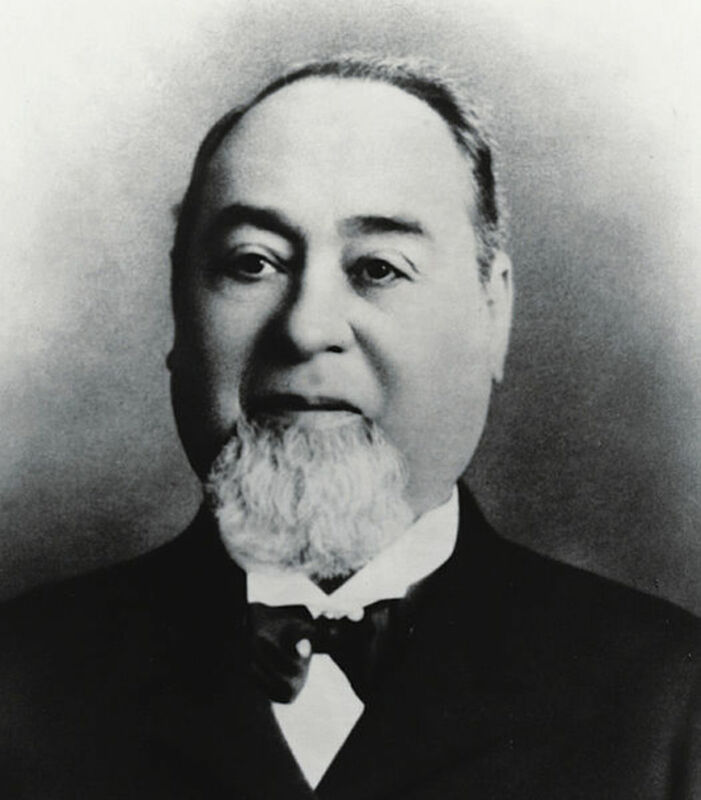 Together with Eberhard Anheuser, Adolphus Busch (1839–1913) was the cofounder of Anheuser-Busch brewing company while Adolph Coors (1847–1929) opened the Adolph Coors Company brewery in Golden, Colorado. 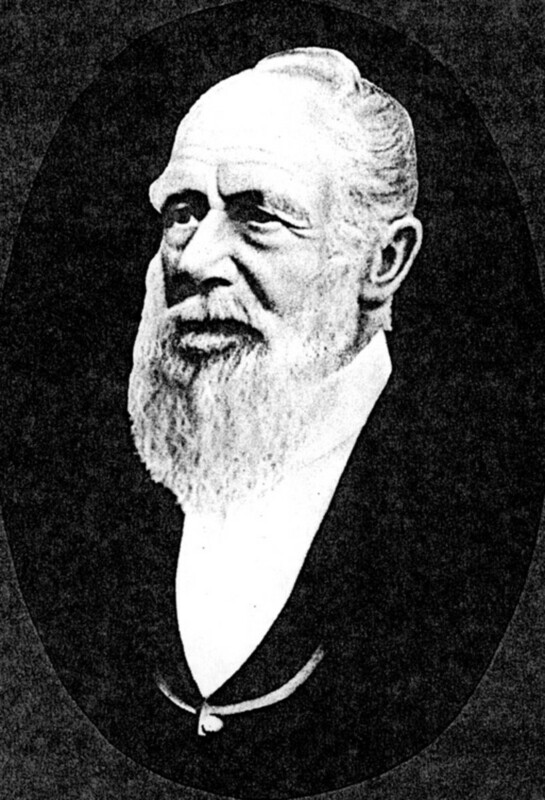 Friedrich Eduard Johannes Müller (1824–1888) founded the Miller Brewing Company in 1855 after an Americanized name change, eliminating the Germanic umlaut. Other German brew masters who founded American breweries that claim their own names are: Bernhard Stroh, Kosmas Spoetzl, Joseph Schlitz, Frederick Pabst, Theodore Hamm and Jacob Leinenkugel. Some other immigrants who opened their own stores during the 1800s include the anglicized Henry E. Steinway (1797–1871) who founded the piano and organ company Steinway & Sons. Oscar Ferdinand Mayer (1859–1955) opened the much loved Oscar Mayer meat company. Richard Hellmann (1876–1971), founded Hellmann's Mayonnaise, but it is now solely American owned. In addition to entrepreneurs, two German artists would make their mark on American history during the mid 1800s by creating art which became quintessentially "American." Emanuel Leutze was born in Schwäbisch Gmünd and was brought to America as a child. He drew some portraits but desired to further his art studies, so he traveled back to Düsseldorf, where he studied with the famous German landscape artist Carl Friedrich Lessing. While in Germany, Leutze became a friend to visiting American artists, assisting them in finding room and board, work and whatever other support they needed. An avid supporter of Germany’s Revolution of 1848, Leutze decided to paint an iconic and patriotic image to encourage Europeans to embrace American ideals of liberty. By 1850, Leutze unveiled Washington Crossing the Delaware. In 1854 Leutze unveiled another patriotic piece entitled, Washington rallying the troops at Monmouth. Both pieces are considered an iconic part of America’s identity. Due to his success with these two pieces, Leutze was commissioned to decorate a stairwell in the U.S. Capitol Building. Visitors today view and reflect on his painting, Westward the Course of Empire Takes Its Way, which he completed by 1861. Thus, three of the most patriotic and "American" paintings are contributions by a German American. Another famous painter who contributed to America’s identity is Albert Bierstadt. 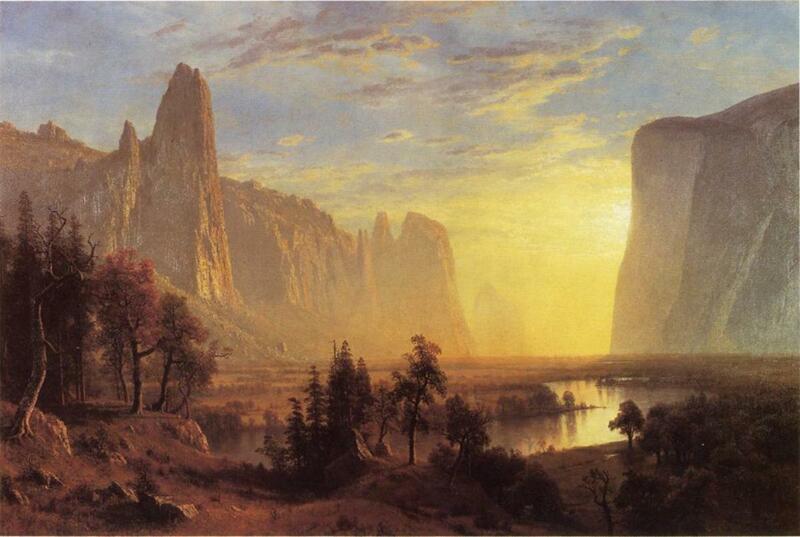 Born in Solingen, Germany in 1830, he is most famous for his paintings of the American West. Bierstadt came to the U.S. in 1832 as a child with his family. Like Leutze, he too traveled back to Germany to further his art studies. After concluding his schooling, he returned to the United States and worked primarily in New York. Painting mostly landscapes, Bierstadt traveled throughout the United States, especially through the unchartered west. Romanticism is evident in his paintings through the use dominant landscapes and natural themes as well as an emphasis on bright colors, purposefully forcing the eye to a certain area on the canvas. This style of painting, the "Hudson River School" was inspired by the scenery of the Hudson river valley which was painted to inspire awe and positive feelings for the exploration and settlement of the country. Bierstadt contributed, therefore, to the concept of the "great west," the magnificence of the land and the greatness of the country as a whole. Although Leutze generally painted his master works before the Civil War and Bierstadt after the hostilities ended, both contributed greatly to the image of Americana. Both used emotion to instill patriotism and pride, but it was a German born pencil illustrator that gave Americans their iconic symbols. 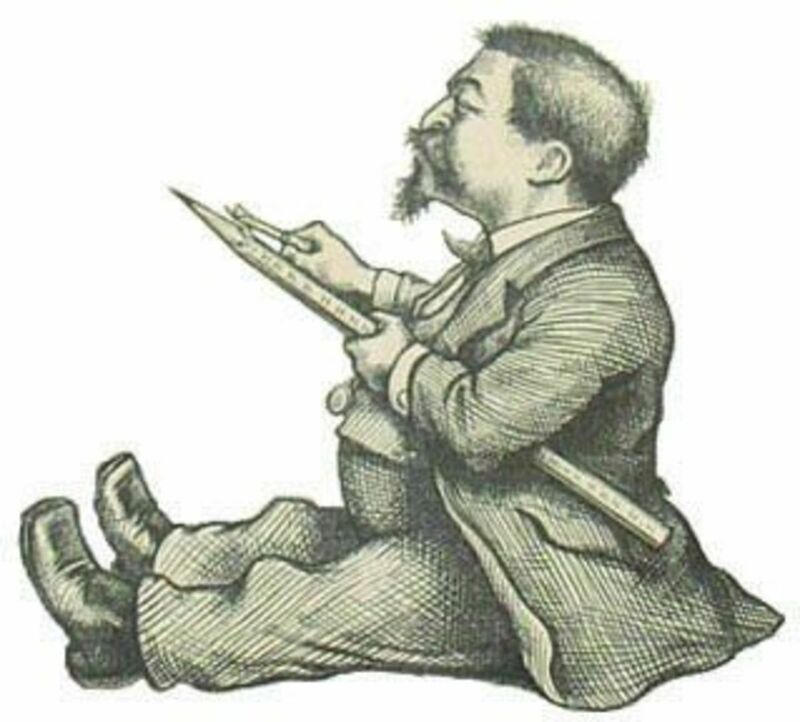 Born in 1840, a mere ten years after Bierstadt’s birth, Thomas Nast was only six when he was sent with his siblings and mother to New York. His father arrived later after finishing his military service. Thomas’ talents were natural and apparent, but he many troubles in public school, and combined with financial reasons he was forced to drop out. He took a job working as an illustrator for a local newspaper, which eventually sent some of his drawing to the famous journal, Harper’s Weekly. He soon worked for the political magazine at the young age of nineteen. During the Civil War, his pro-Union illustrations gained the admiration of President Lincoln. 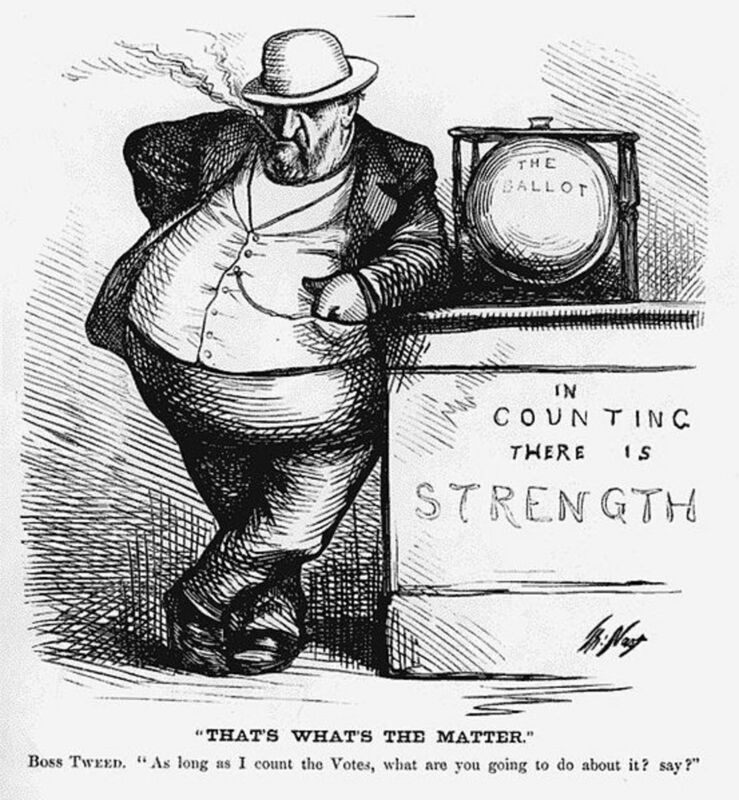 During the Industrial Revolution, Nast drew political cartoons exposing and lambasting the corrupt policies of Boss Tweed, the commissioner of public works for New York City. Boss Tweed’s grip on the New York City government was evident in the multimillion dollar contracts Tweed-owned companies received for construction. Controlling, violent and corrupt, Tweed defrauded the city by tens of millions. Exposed and lampooned by Nast, pressure began to build on Tweed, and slowly his grip loosened. Eventually he was found guilty on charges of stealing public funds. Tweed himself noted that Nast was the most important figure in exposing his corruption. Although he was convicted, he was able to escape from jail but Spanish officials were able to recognize him by using one of Nast’s cartoons. Tweed died in jail of pneumonia, a broken man. Thomas Nast remained in politics and drew for Presidents and social causes he supported. Nast remained faithful to his roots and was one of the only cartoonists who supported Chinese immigration. Nast was also responsible for illustrating and creating the iconic figures of the Republican elephant and the Democratic donkey, as well as two figures, Uncle Sam and Santa Claus. First seen on the cover of an 1863 Harper’s Weekly wearing stars and stipes, Nast redrew and colored his jolly old fat man in the traditional red and white garb that Santa Claus is known for throughout much of the world today. Born in Ulm one year after Boss Tweed died in jail, Albert Einstein was a German theoretical physicist who forever changed physics. Spending most of his childhood in Germany, he also lived in Italy and Switzerland. 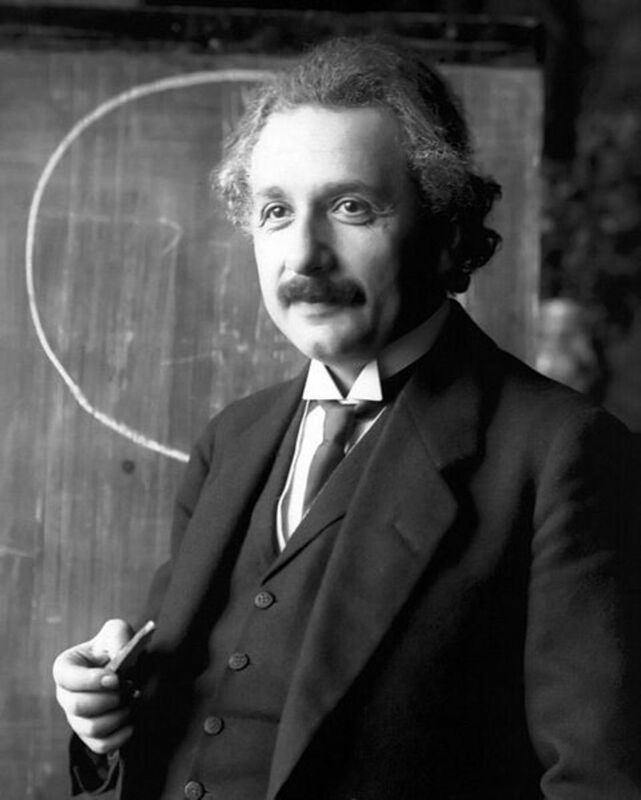 Einstein received the Nobel Prize in physics in 1929, which in turn helped establish the field of quantum physics. As a professor in Berlin, his publication of the Theory of Relativity and E = mc2formula are two of the most known and important contributions to the field of science. While visiting the United States in 1933, Hitler ascended to the Chancellery so Einstein refused to go back to Berlin. He became a United States citizen in 1940 and with other scientists contributed to the development of the atomic bomb. He soon regretted his involvement and wrote often about the horror of atomic war. Einstein’s contributions to the knowledge of science and to the human race require far more documentation than is available here. Born only five years before Einstein received his Nobel Prize, Heinz Alfred Kissinger was raised in Fürth. 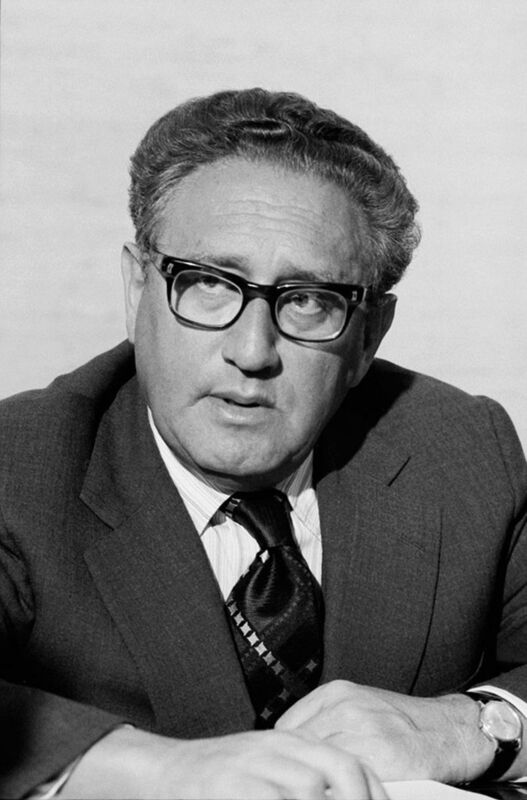 His family fled the Nazi regime and immigrated to the United States in 1938 where he became known as Henry Kissinger. An extremely bright student, he excelled in both public school and his university studies. His studies were cut short, however, as he was drafted into the American Army in 1943. Assigned to military intelligence due to his German fluency, he was put in charge of the city administration of Krefeld, Germany in 1945. Due to his excellent work, he was quickly promoted. After the war he returned to his studies. He earned both his Master’s and Doctoral degrees at Harvard where he honed his vision of peace through power and military strength. He taught at Harvard for some years and published many papers advocating his ideas in foreign policy. Noticed by Richard Nixon and other prominent Republicans, Kissinger became the National Security Advisor and eventual Secretary of State to President Nixon and President Ford. Promoting his idea of military strength and nuclear deterrence, he created two important foreign policies known as Realpolitik and détente. Realpolitik, a German word literally meaning real politics, advocated a foreign policy based on practical and material factors rather than moralistic or ethical ideals. Détente was a policy of relaxed relations between the United States and China as well as the Soviet Union. As a direct result of détente, Nixon became the first President to visit China. Moreover, the SALT I (Strategic Arms Limitation Treaty) was ratified by the U.S. congress as a result of his direct work with the Soviets. Working as the Secretary of State, Kissinger shared the Nobel Peace Prize in 1973 with Le Duc Tho for ending the Vietnam War. German Americans have contributed much throughout American history, from the first settlers to modern times. A constant force throughout history, immigrants wove their own unique contributions to the quilt that blankets American culture and history. The German contribution is but one of many patches, contributing to the overall idea of what it is to be American. In the next 250 years, who knows what contributions new immigrants might have on society? 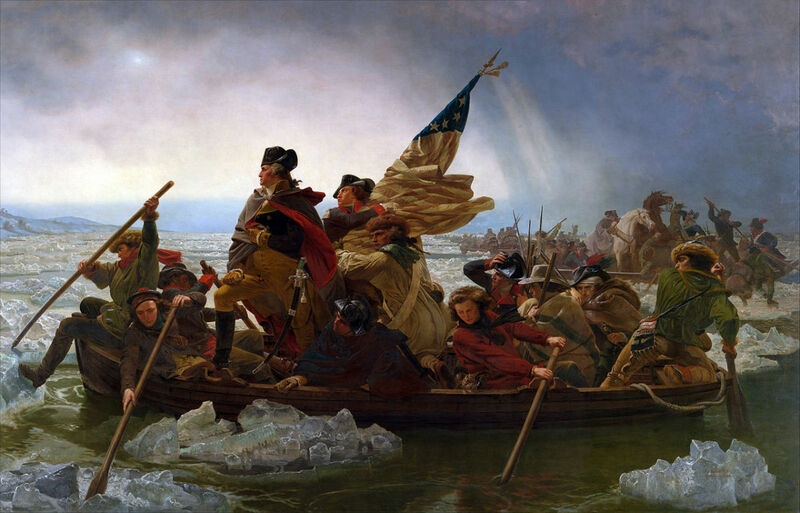 Great article, I find it ironic that the painter of Washington crossing the Deleware was German. All in all a lot of new information, which is great. Nice essay that summarizes a huge topic manageably. You hit the big names but also bring out a number of lesser-known contributors to American history. I enjoyed reading it.